Hearing my voice is uncomfortable to me. I don’t know how to feel so can’t regulate it — it’s strained slightly, and almost childish. He sighs, lifts his glasses and rubs his eyes with the fingers of one hand. It hurts me, but I need something to happen. I panic though, in the silence, not knowing how to tell him I’m lingering because I’m waiting for the moment that makes it worth it. Or how to tell him I’m trying to ignore that the feeling between us is not love. That I do know it. That when I say, “I have love for you,” it’s because I don’t think I have — but I want to. Though I can’t say why. “Will you think of me when I’m gone?” I ask. He had told me. He’d told me he was “stuck.” I knew he had four “elite” academic degrees, and little sense of himself. I knew he was depressed. I knew he was jobless and without hope. And that I was young and dreamy and ambitious — in love as much as in life. He talks, I talk. We hug, and he walks me to the subway station. On the track I think about the quiet, pulsating sadness in me. I’m tempted to ask, “How did I get here?” But I resist, because I know how I got here: I grew up on a potent mix of fantasy novels and anime. On infinite afternoons spent soul-deep in stories that were both epic — and reassuringly predictable. On hours sat swallowing into myself thousands of pages of love stories, journeys and supernatural worlds saturated with meaning. On a bread and butter of crucial quests: for selfhood, and for love. Which is to say I grew into fantastic and deeply compelling (and disastrous) ideas about love, and into a long enduring faith in the triumph of the human spirit. I wasn’t even nerdy, or particularly withdrawn. I didn’t have a bad childhood. I had a large garden, and went to private school, and won all the races on Sports Day. Yet there was something that drew me endlessly into the refuge of lives that were not my own, lives of Protagonists with Great Purpose – and that made sense. Yvette Tetteh (b. 1992) is a British-born Ghanaian artist, yoga teacher, and aspiring farmer. She holds a BA in Cultural Anthropology, and French, from Stanford University (CA, USA.) Her work is centred on the black body, and the intersection of intimacy, reserve, and performativity. Her astrological signs are: Cancer Sun, Aries Moon, and Gemini in Ascendant. Yvette is based in Accra, Ghana and is the winner of the Koffi Addo Prize for Creative Non Fiction. 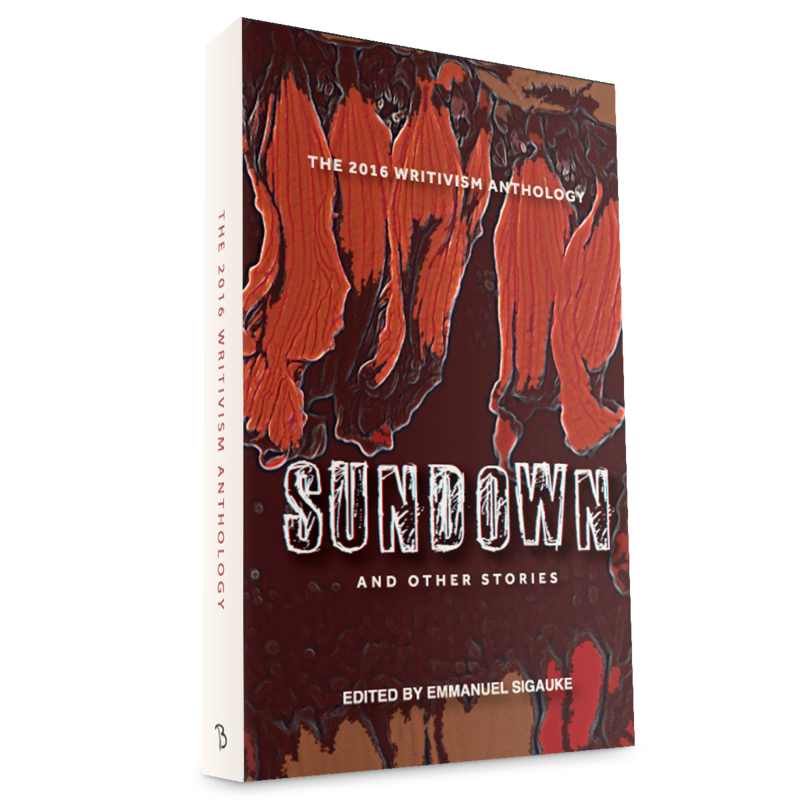 “Lost Futures or A Guide to Losing Love” won the 2016 Koffi Addo Writivism Prize for Creative NonFiction and is published in The 2016 Writivism Anthology: Sundown and Other Stories. R199, paperback.